Ceramic coatings are the next generation of vehicle surface protection beyond waxes, but instead of carnubas and polymers, are liquid glass (in many cases, silica) and will outperform and outlast any wax or sealant on the market in the gloss and protection of your vehicle's paint, and are much more scratch, UV, and most notably water resistant. 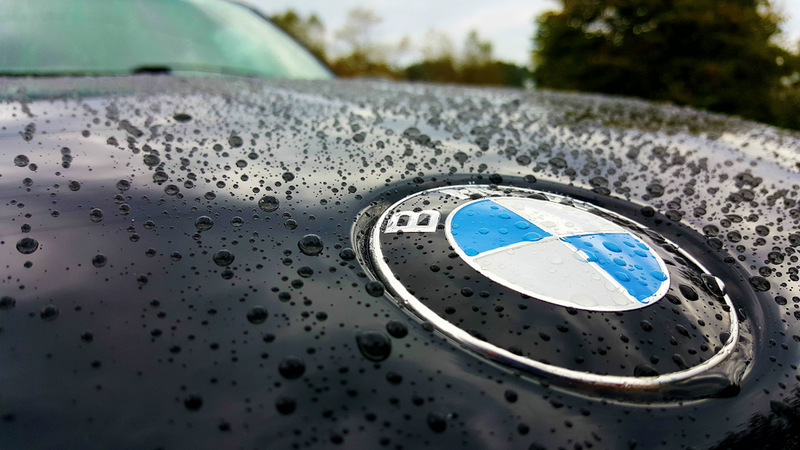 Due to its incredible hydrophobic nature, coating your vehicle's paint makes it much more resistant to dirt and grime. Because it is a glass coating, it shines like... glass. Additionally, the 9H hardness of the coating protects the paint with a much slower degradation during daily use, thus protecting the master results of our paint refinement services for years to come. Less time wasted applying wax that will only last two weeks or melt off in the sun. Coatings have incredible heat tolerances! M&B is not a company that just throws a coating onto a vehicle. We know no limits when it comes to making sure that the vehicle looks its absolute best before a coating is applied. Time is our greatest luxury. Proper protection up front saves you time and money. Stress less and go enjoy your vehicle knowing you're protected. All while making it significantly easier to care for and adding incredible gloss. We offer multiple tiers of coatings at different price points depending on your goals. Poly is a 1 year coating, Quartz, 2 years, Quartz+, 3 years, and Kenzo, 4. Please note that there is no such thing as a "lifetime" coating. We always wish to be up front with you about what you're getting and don't make false promises. We also offer bundling deals. If you opt for any paint coating, any of our other coatings (See below) are available at a discounted rate when you add them to your order. M&B also offers a 6 month sealant, IGL Premier. Premier is unlike any other sealant on the market in that it is water-based and has properties just like the ceramic coatings, but in spray form and is a great option for those who aren't yet sure if they want to commit to a full, multi year coating. Unlike waxes that merely fill imperfections and melt off on an average summer day, Premier is filler-free and temperature resistant with many more benefits than anything offered anywhere else. Premier can be added to any package, from a simple wash to a full correction, allowing you to see the benefit with little hassle. We're sure that you will absolutely love it. 573.521.7235, or contact us on Facebook!